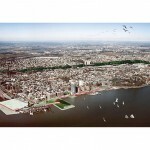 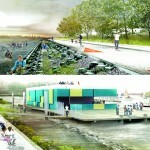 The Big U is a flooding solution for Manhattan that doubles as a social environment. 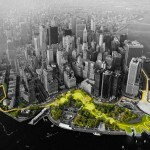 It extends from West 57th Street to East 42nd Street, extending all the way down to the Battery. 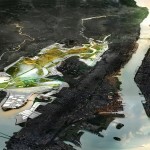 The plan consists of self-sufficient flood zones that will surround the most vulnerable areas of Manhattan in the shape of a U. 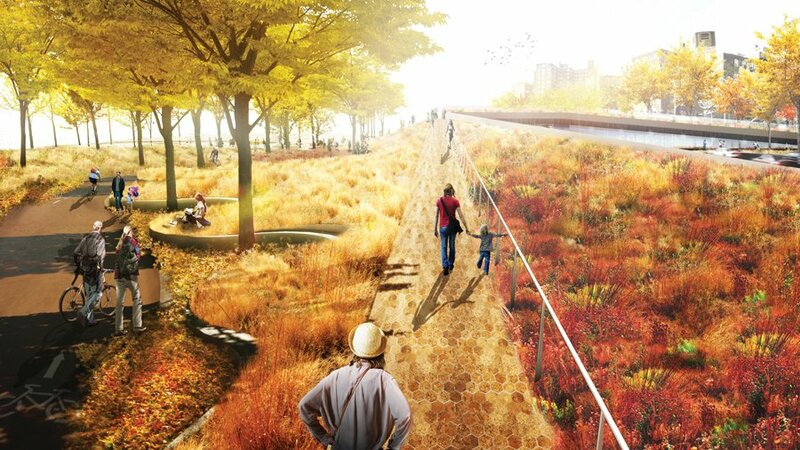 These areas will be great for socializing, relaxing and sightseeing, with local artwork and resilient plant life to better withstand storms and floods. 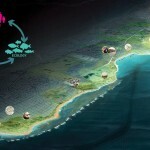 However, in the event of a hurricane, the areas will serve as flood barriers and shelters. 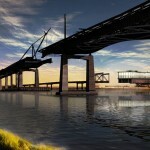 BIG will receive over a third of the $920 million dispersed amongst the six winning bids. 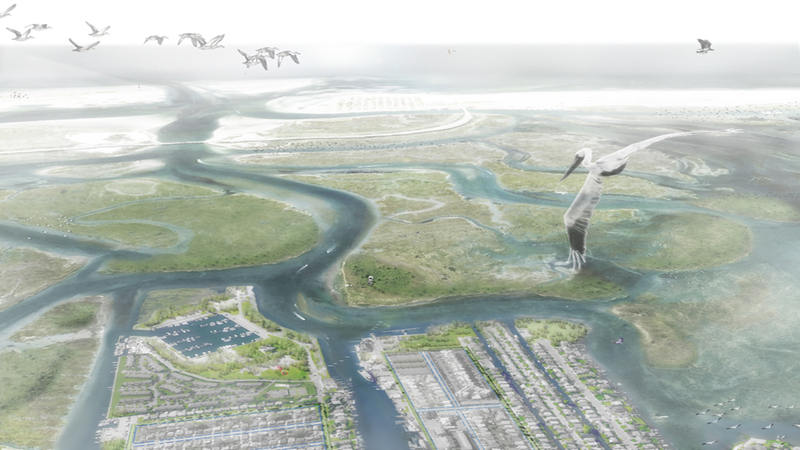 Living with the Bay addresses the needs of the many areas of Nassau County, proposing a protective infrastructure for the county’s more vulnerable barrier islands; and development of new marshlands to slow down harsh waves. 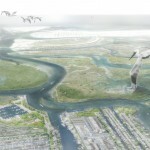 The Meadowlands will transform the edge of New Jersey, creating more protective marshlands and creating an area called the Meadowband, which will include public spaces and bus transportation, and will serve to protect the area during flooding. 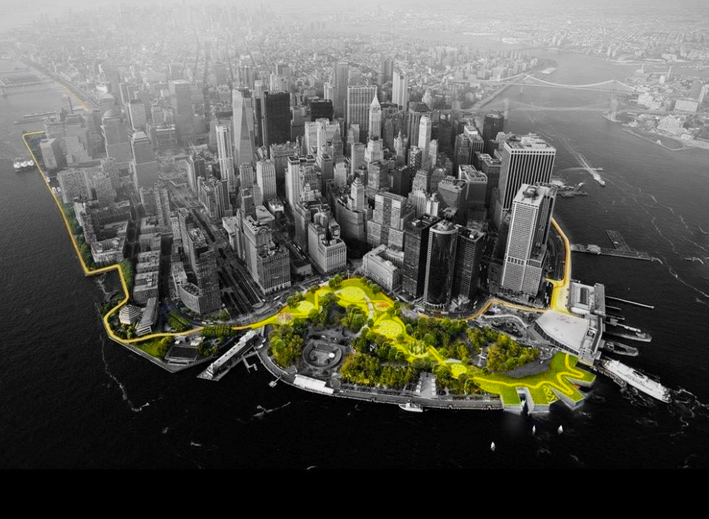 OMA’s plan for Hoboken is to be able to manage water includes a landscape built for coastal defense, new guidelines and flood zones to reduce flood insurance premiums, and pumps to quickly discharge excess water. 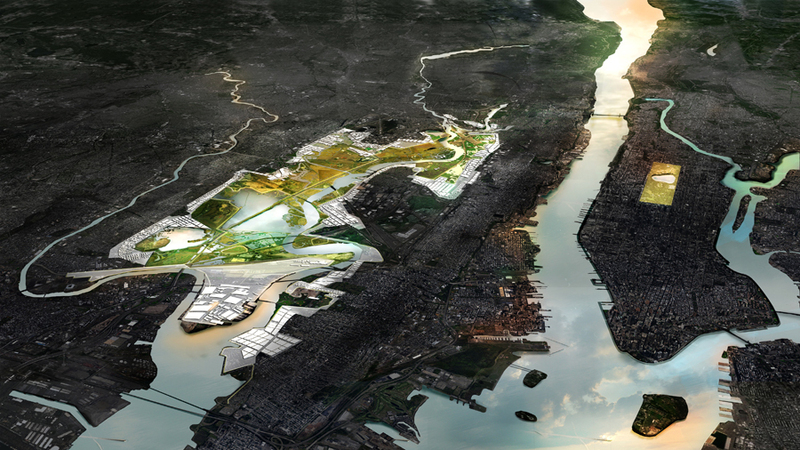 This design aims to protect the Bronx’s Hunts Point, the vulnerable area that is responsible for feeding 22 million people and supplying over 20,000 jobs. 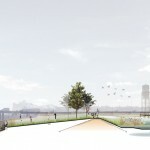 The plan involves a waterfront greenway, called the Levee Lab, that opens to the river, providing flood protection and recreation. 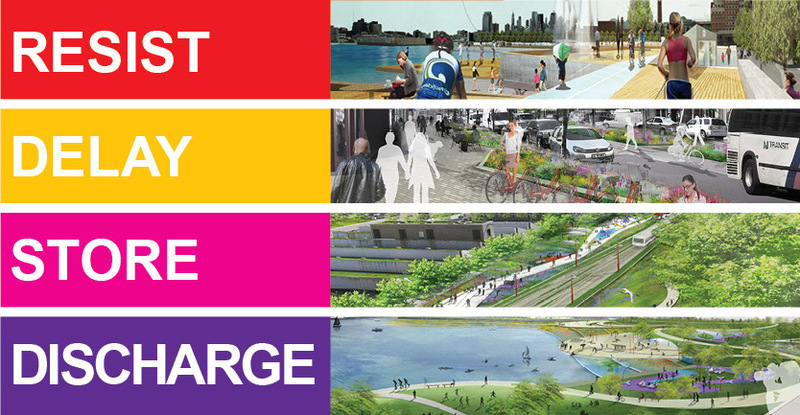 The levee lab will also create a more independent community likely to require less federal funds, and it will create local jobs. 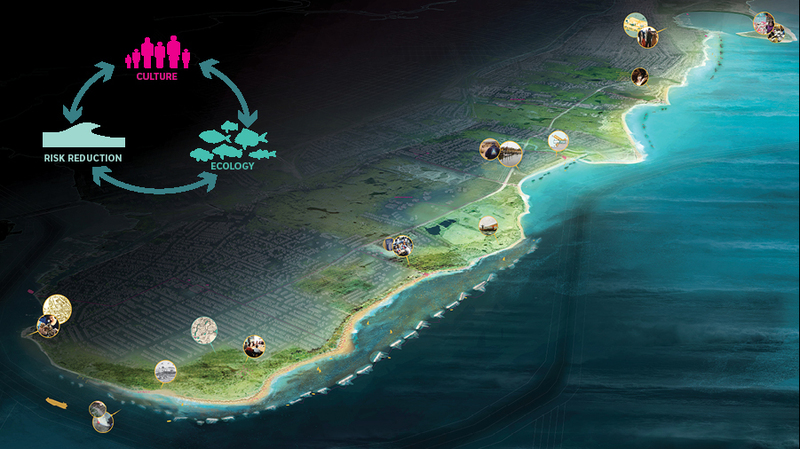 This plan seeks to create a water-based culture and educate future generations in Staten Island while rebuilding the ecology. 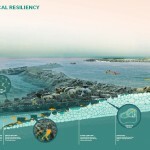 With this proposal, rocky sloped walls will weaken destructive waves. 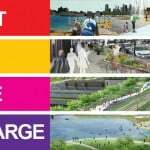 It will also include “a network of programmed water hubs” providing education and through entertaining and social water-based activities. 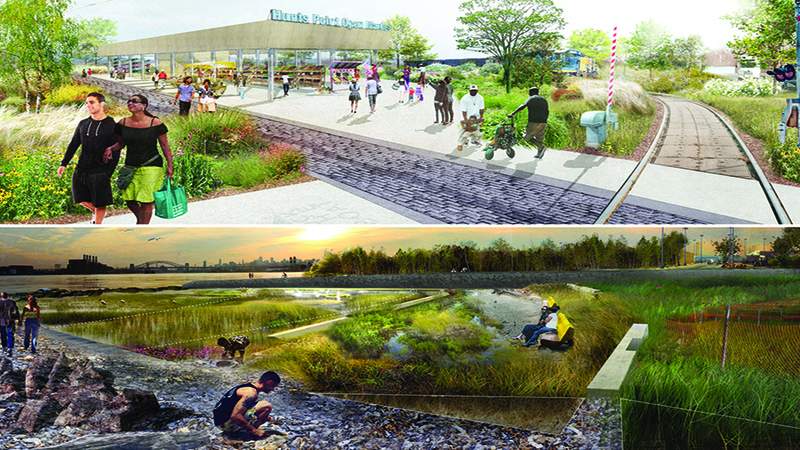 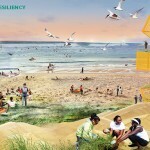 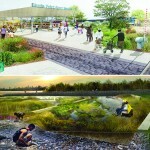 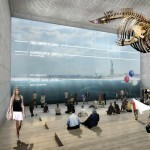 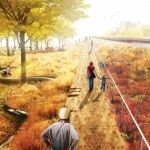 To learn more about these winning proposals, check out the Rebuild by Design website.